I have mentioned before that I’m not a cleaner. But today, I am briefly going to share my frustration at possibly the worst home décor choice in the free world: white floors. Behold my kitchen. It’s amazing, right? 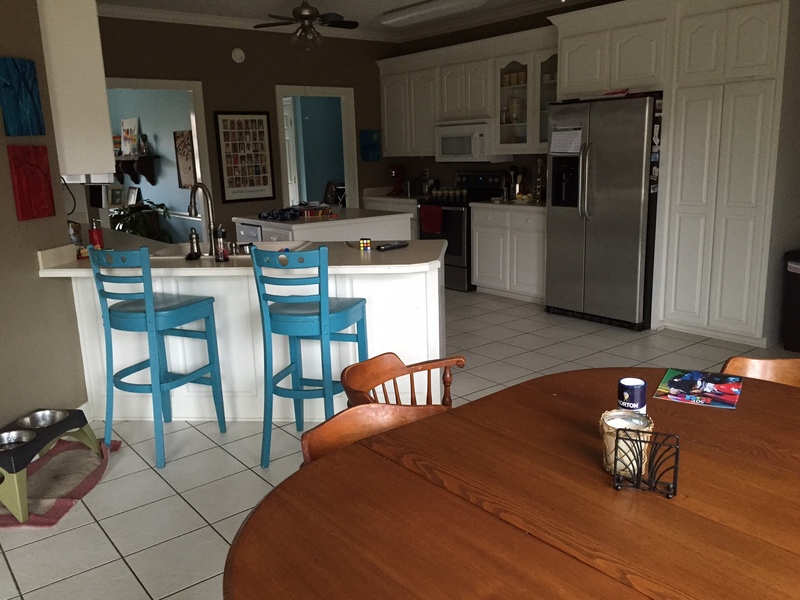 We bought this house in 2013, and when I saw the kitchen, it was love at first sight. I knew we would do lots of living in here, and we do. 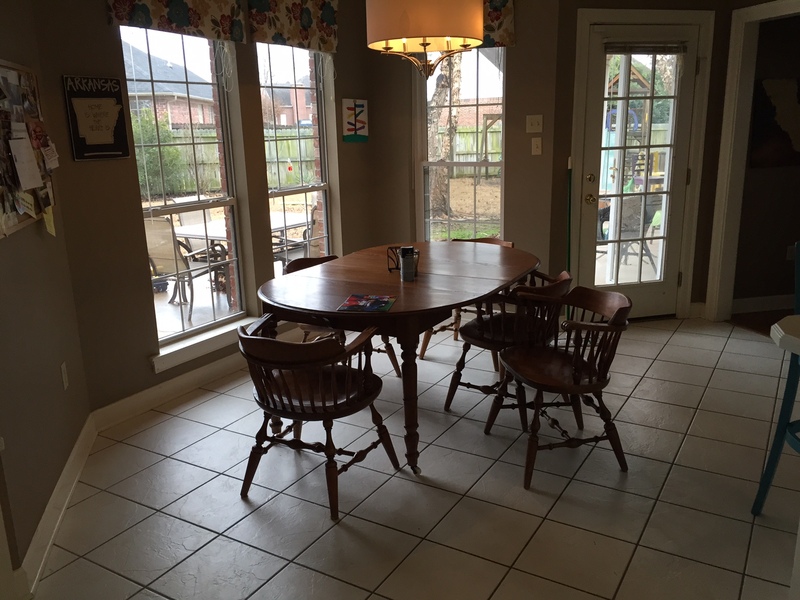 This house was built in 1998, so there are some things I would love to change about the kitchen (replacing the laminate countertops, installing a good-looking backsplash, buying stainless appliances if the other white appliances ever die)…but these are also things I can live with. They aren’t deal-breakers, and since I’m not sure that I’ve logged enough DIY hours on HGTV, I’m happy to deal. But I would love to cheerfully, murderously, not-even-feel-bad-about-it-and-possibly-stand-there-and-drink-a-beer-over-his-dead-body choke whichever home-building jackhole decided that white tile was a good idea for this kitchen. Yes, the white tile keeps it nice and airy and reflects natural light from the large windows. 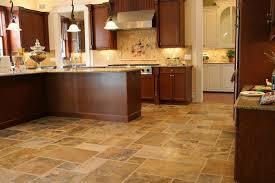 However, the white tile can only remain clean for approximately 28 seconds in my family. That’s it. 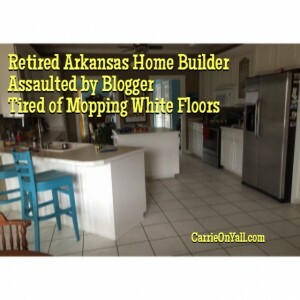 My husband Jeff has a much lower tolerance for home disgustingness than I do, but we both chip in and mop this floor about three times per week. Why?!? 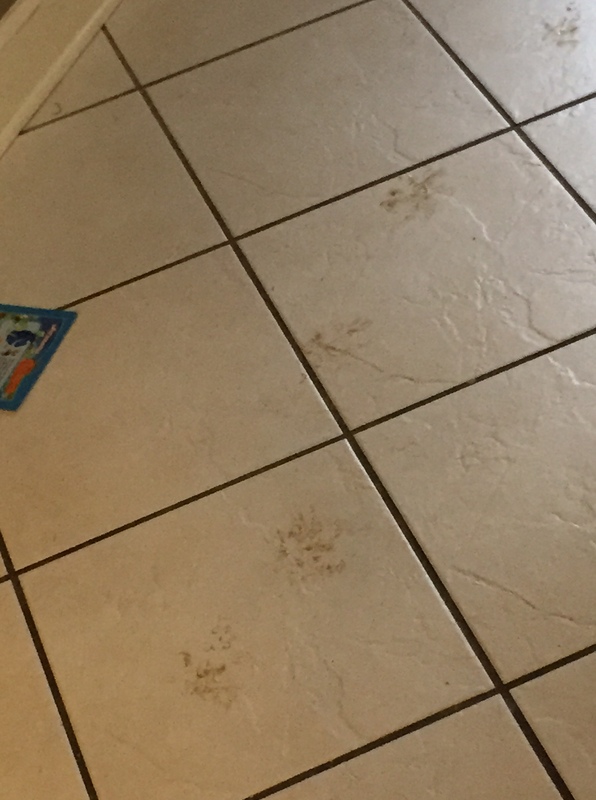 Because mere moments after I put the mop away and the water is drained from the sink, someone I’ve given birth to or a four-legged child will come skidding through the kitchen and either spill something or put footprints (or pawprints) on the white floor. It’s Murphy’s Law. We spill stuff All. The. Time. Lexi, our golden retriever, is the best first-responder in any household accident involving food (let’s be honest, she even causes a few), but she is on it. She follows the kids around just hoping one of them will leave a Hansel-and-Gretel trail of food behind so she can swipe it up. And still it’s not enough. Little dark-edged stains of Capri-Sun-and-milks-past dot the maddeningly white floor. 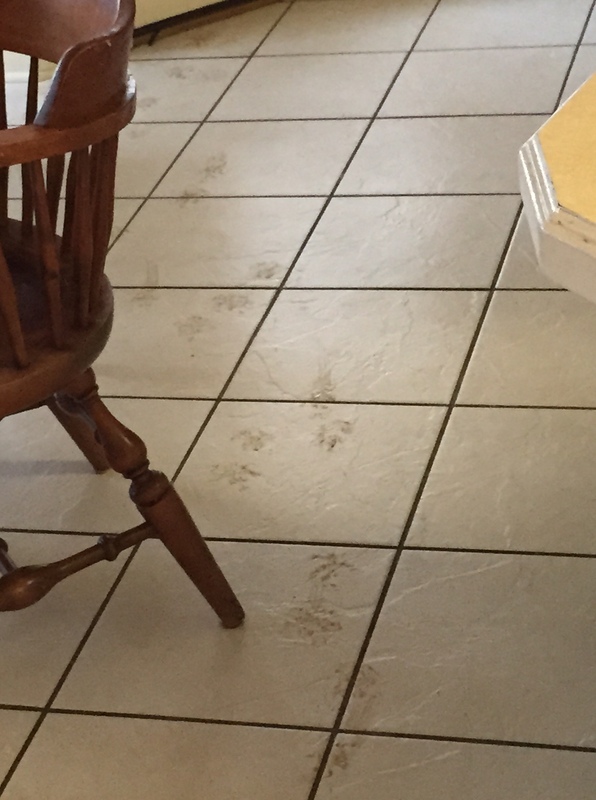 Dropped food leaves plop marks, even if we follow the 3-second rule. I shudder to think what the floor would look like if not for my friendly, sweet, 70-pound vacuum cleaner. Here in Arkansas, we’ve had a long bout with bad weather, and that, too, makes my kitchen impossible. For example, this morning, I let the 70-pound vacuum cleaner out back to do her business in the yard. When she came in, this happened. 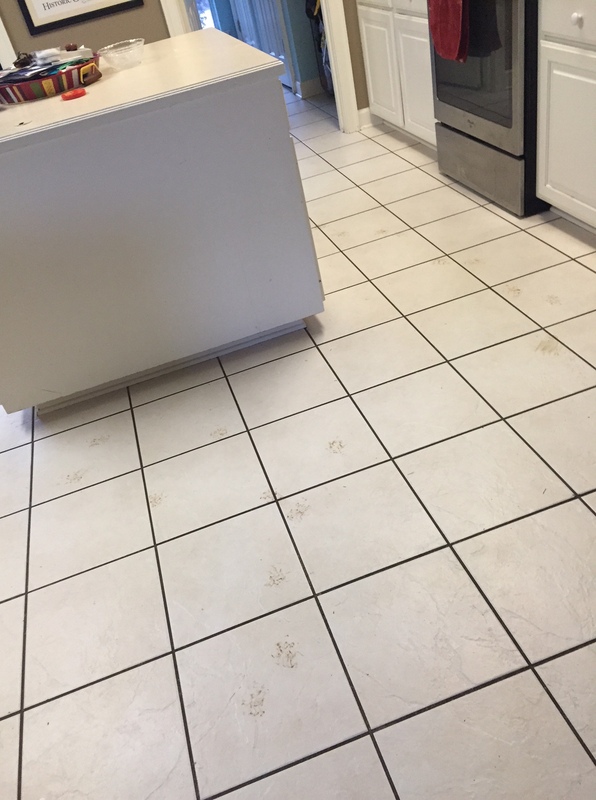 That’s a trail of muddy pawprints leading in a perfect figure-8 around the kitchen floor that Jeff mopped yesterday. I couldn’t catch her to send her back outside until she had done a full lap around the entire kitchen. I go to my friends’ houses and see kitchen floors like this, and either want to keel over with jealousy or grab a giant jackhammer and go to town on my white floor. Until then, I’m going to bide my time, find out which jackhole builder approved white tile in my kitchen, and do something awful to his vehicle. I hope his work truck will be white because then I will put black ink on my cat’s feet and throw her on his hood. It’s the best device for cleaning tile floors, vinyl, shower tile and other stuff. I have one and wouldn’t live without it. Love this thing.